KANSAS CITY, Mo. 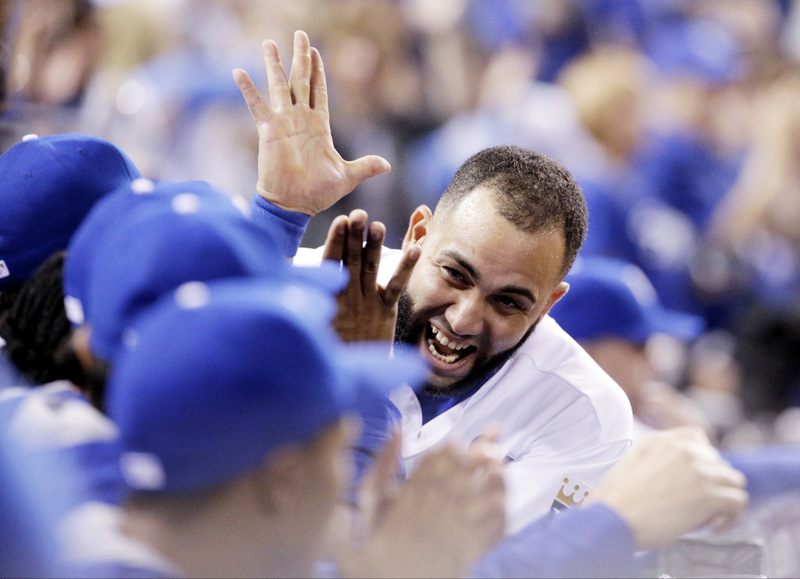 (AP) — Luke Hochevar was a member of the Kansas City Royals who advanced to the World Series a year ago. He was in the dugout for every playoff game, took part in all the champagne celebrations, got an American League championship ring after the season. That makes this year’s return to the Fall Classic so much sweeter. Now recovered from Tommy John surgery that sidelined him last season, Hochevar has been able to contribute to the success of the club that made the reliever the No. 1 overall draft pick in 2006. The easy argument is the Royals are back because they’re the same team of a year ago. Their core players that became household names against the San Francisco Giants, such as first baseman Eric Hosmer and outfielder Lorenzo Cain, are still doing their thing in Kansas City. It’s just that the cast of characters doing it is slightly different. In the field, the Royals moved on from right fielder Nori Aoki by signing Alex Rios, who is hitting .333 in the first playoff appearance of his 12-year career. Second baseman Omar Infante has been hurt, so deadline-acquisition Ben Zobrist has taken over, hitting .326 while driving in six runs this postseason – including two homers against Toronto. But it’s among the pitchers where the differences are most stark: Along with Ventura, the rotation consists of Edinson Volquez, Johnny Cueto and Chris Young, while last year it was James Shields, Jeremy Guthrie and Jason Vargas in the postseason. Volquez was the Royals’ big offseason signing after Shields left in free agency. But Young was signed at the start of spring training after spending time away from the game, and pitched his way into the playoff rotation, dominating the Blue Jays in Game 4 of the ALCS. So while the core group that ended the Royals’ 29-year playoff drought is back, it’s a new batch of players who will try to help them win their first World Series title since 1985.